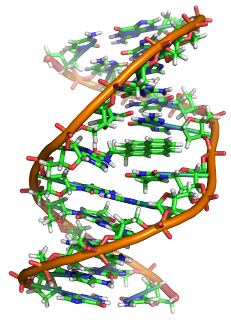 In molecular biology and genetics, mutations are changes in a genomic sequence: the DNA sequence of a cell's genome or the DNA or RNA sequence of a virus. Mutations are caused by radiation, viruses, transposons and mutagenic chemicals, as well as errors that occur during meiosis or DNA replication. They can also be induced by the organism itself, by cellular processes such as hypermutation. Mutation can result in several different types of change in DNA sequences; these can either have no effect, alter the product of a gene, or prevent the gene from functioning properly or completely. Studies in the fly Drosophila melanogaster suggest that if a mutation changes a protein produced by a gene, this will probably be harmful, with about 70 percent of these mutations having damaging effects, and the remainder being either neutral or weakly beneficial.Due to the damaging effects that mutations can have on genes, organisms have mechanisms such as DNA repair to remove mutations. 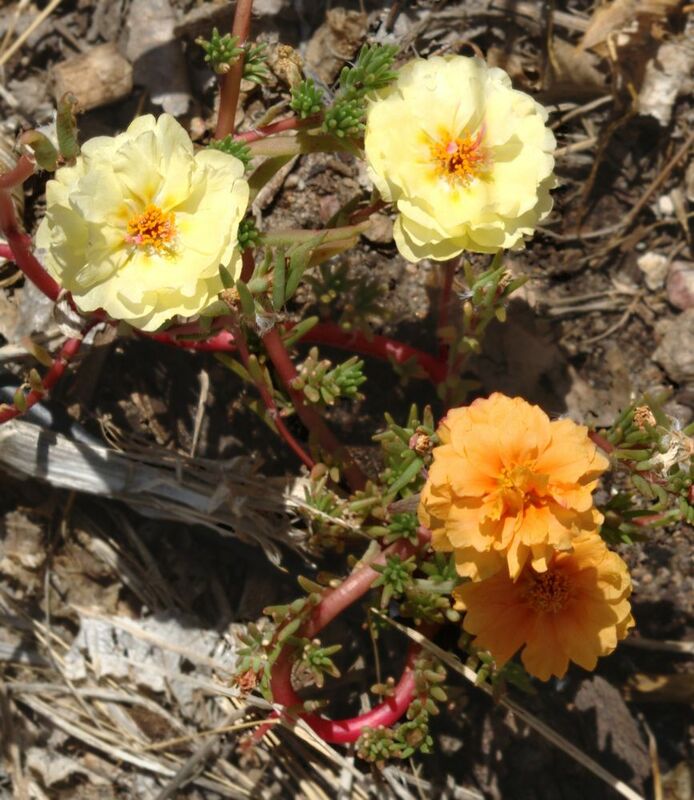 (A mutation has caused this garden moss rose to produce flowers of different colors. Therefore, the optimal mutation rate for a species is a trade-off between costs of a high mutation rate, such as deleterious mutations, and the metabolic costs of maintaining systems to reduce the mutation rate, such as DNA repair enzymes. Viruses that use RNA as their genetic material have rapid mutation rates, which can be an advantage since these viruses will evolve constantly and rapidly, and thus evade the defensive responses of e.g. the human immune system. Here, domains act as modules, each with a particular and independent function, that can be mixed together to produce genes encoding new proteins with novel properties. For example, the human eye uses four genes to make structures that sense light: three for color vision and one for night vision; all four arose from a single ancestral gene. 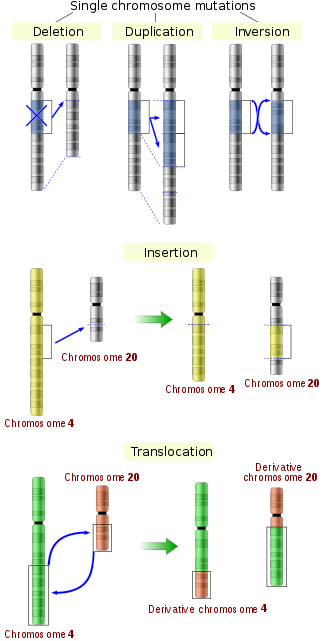 Another advantage of duplicating a gene (or even an entire genome) is that this increases redundancy; this allows one gene in the pair to acquire a new function while the other copy performs the original function.Other types of mutation occasionally create new genes from previously noncoding DNA. For example, plants can sometimes transmit somatic mutations to their descendants asexually or sexually where flower buds develop in somatically mutated parts of plants. A new mutation that was not inherited from either parent is called a de novo mutation. The source of the mutation is unrelated to the consequence, although the consequences are related to which cells were mutated. Depurination – Loss of a purine base (A or G) to form an apurinic site (AP site). Deamination – Hydrolysis changes a normal base to an atypical base containing a keto group in place of the original amine group. 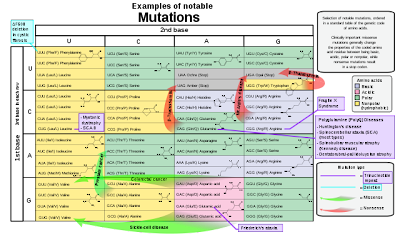 Examples include C → U and A → HX (hypoxanthine), which can be corrected by DNA repair mechanisms; and 5MeC (5-methylcytosine) → T, which is less likely to be detected as a mutation because thymine is a normal DNA base. Ultraviolet radiation (nonionizing radiation). Two nucleotide bases in DNA – cytosine and thymine – are most vulnerable to radiation that can change their properties. UV light can induce adjacent pyrimidine bases in a DNA strand to become covalently joined as a pyrimidine dimer. UV radiation, particularly longer-wave UVA, can also cause oxidative damage to DNA. Deletions remove one or more nucleotides from the DNA. Like insertions, these mutations can alter the reading frame of the gene. They are generally irreversible: though exactly the same sequence might theoretically be restored by an insertion, transposable elements able to revert a very short deletion (say 1–2 bases) in any location are either highly unlikely to exist or do not exist at all. Note that a deletion is not the exact opposite of an insertion: the former is quite random while the latter consists of a specific sequence inserting at locations that are not entirely random or even quite narrowly defined. In reality, viewing the fitness effects of mutations in these discrete categories is an oversimplification. Attempts have been made to infer the distribution of fitness effects using mutagenesis experiments or theoretical models applied to molecular sequence data. However, the current distribution is still uncertain, and some aspects of the distribution likely vary between species. By pattern of inheritance The human genome contains two copies of each gene – a paternal and a maternal allele. A neutral mutation is a mutation that occurs in an amino acid codon which results in the use of a different, but chemically similar, amino acid. The similarity between the two is enough that little or no change is often rendered in the protein. For example, a change from AAA to AGA will encode arginine, a chemically similar molecule to the intended lysine. Silent mutations are mutations that do not result in a change to the amino acid sequence of a protein. They may occur in a region that does not code for a protein, or they may occur within a codon in a manner that does not alter the final amino acid sequence. The phrase silent mutation is often used interchangeably with the phrase synonymous mutation; however, synonymous mutations are a subcategory of the former, occurring only within exons. The name silent could be a misnomer. For example, a silent mutation in the exon/intron border may lead to alternative splicing by changing the splice site, thereby leading to a changed protein. A committee of the Human Genome Variation Society (HGVS) has developed the standard human sequence variant nomenclature, which should be used by researchers and DNA diagnostic centers to generate unambiguous mutation descriptions. In principle, this nomenclature can also be used to describe mutations in other organisms. The nomenclature specifies the type of mutation and base or amino acid changes. Amino acid substitution (e.g. D111E) – The first letter is the one letter code of the wild type amino acid, the number is the position of the amino acid from the N terminus, and the second letter is the one letter code of the amino acid present in the mutation. Nonsense mutations are represented with an X for the second amino acid (e.g. D111X). Amino acid deletion (e.g. ΔF508) – The Greek letter Δ (delta) indicates a deletion. The letter refers to the amino acid present in the wild type and the number is the position from the N terminus of the amino acid were it to be present as in the wild type. The complete set of rules and more examples of mutation descriptions can be found at the HGVS sequence variant nomenclature website. Since the nomenclature has to cover all sequence variants, descriptions can become very complex. To prevent mistakes and facilitate correct use of this nomenclature, the journal Human Mutation recommends the use of Mutalyzer, which can apply the HGVS human nomenclature guidelines to check and, if necessary, correct sequence variant descriptions. For example, a specific 32 base pair deletion in human CCR5 (CCR5-Δ32) confers HIV resistance to homozygotes and delays AIDS onset in heterozygotes. The CCR5 mutation is more common in those of European descent. One possible explanation of the etiology of the relatively high frequency of CCR5-Δ32 in the European population is that it conferred resistance to the bubonic plague in mid-14th century Europe. People with this mutation were more likely to survive infection; thus its frequency in the population increased. This theory could explain why this mutation is not found in southern Africa, where the bubonic plague never reached. A newer theory suggests that the selective pressure on the CCR5 Delta 32 mutation was caused by smallpox instead of the bubonic plague.